Posted: 0 Post subject: January Custom Spotlight!!! Our customizer for the month of January is...woosie!!! I am excited about this month's spotlight, as woosie has always been an inspiration to me. Being the one to introduce the custom world to apoxie sculpt is amazing enough, but woosie's work is always wonderfully detailed and beautifully executed. Congrats woosie, and thank you! 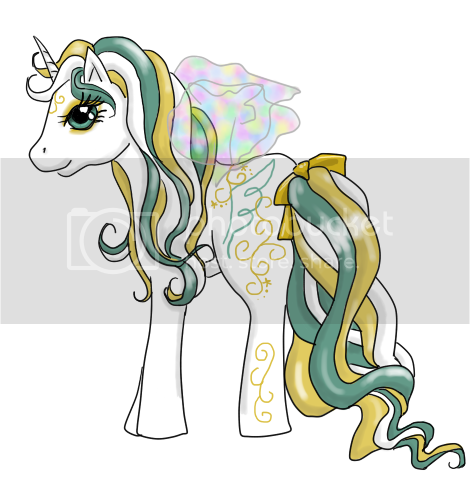 How long have you been customizing ponies? I have been customizing since the late '90s, it's been so long I can't really remember exactly. 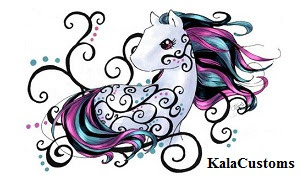 I was inspired by several great artists that customized ponies back in the day, and some that are still active today. Among them were Icefeather and Nightlight. 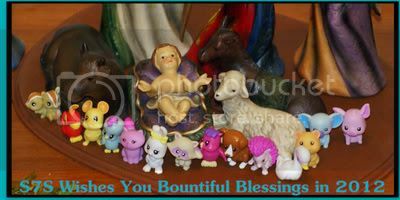 I figured if they can make a work of art from a toy horse, why couldn't I? Do you enjoy other types of art? Absolutely. I'm big into sewing arts like quilting and also sculpture and pen/ink or pencil drawing. Do you have any favorite customs done by you or another artist? I have a gorgeous custom made for me as a trade with Pop-Girl, it's one of my cherished possesions, what she does with her airbrush is magic. 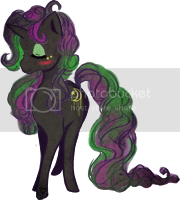 My absolute favorite custom is Lizzy B. done by Poniesyeah. She entrusted me to take her to a pony convention a few years ago for the customs contest so Lizzy got to hang out at my house for a while, it was SO hard sending her back, lol. The amount of detail in the custom is insane and can only be appreciated in person. Mostly colors around me...it's probably a weird way to make a custom but usually I pick out all the colors I want to use then try to make a theme fit into it if I want to add a symbol or something, lol. Also, I do a lot of food oriented customs...because I like food, lol. What types of customizing disasters have you run into? Do you have any favorite tips or tricks? Don't forget to thin that paint out before you use it. Applying multiple coats of a thinned acrylic paint always looks better than getting in a rush and putting on a few thick coats. This includes little details like eyelashes and such, don't get in a hurry. Are there any products you just can't live without? What advice do you have for someone just starting to get into customizing? Don't be afraid to ask questions of other customizers and don't get discouraged if your custom doesn't come out perfect. It just takes lots of practice and honing your skills to get it right. 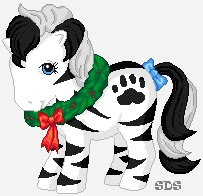 I don't even know how many customs I made before I displayed my first one to my pony collecting friends...they were so bad in the beginning that it was just embarrassing. Well deserved, you are amazing Woosie! So glad to see you posting again! Congrats doll - your customs are always an inspiration! Such lovely work! Congrats your customs are pure amaxing! Congratulations! Your customs are always so incredible, and like JPP said, totally inspiring. CONGRATS to the one of the best customizers on the planet!!!!! Formerly c.love.r | I'm always looking for baity flutters, especially Peach Blossom! 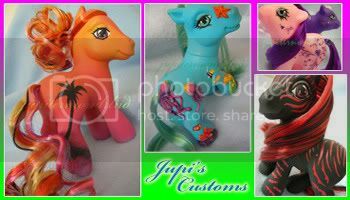 Your custom ponies were a big part of what got me customizing years ago! This was a long over-due spotlight, IMHO. Congrats! I can't believe we haven't had a Woosie spotlight before this. And one million thanks to you for introducing Apoxie Sculpt to us all! You brought the entire customizing comunity to the next level with that one. Second that, her wings are some of the best ever.